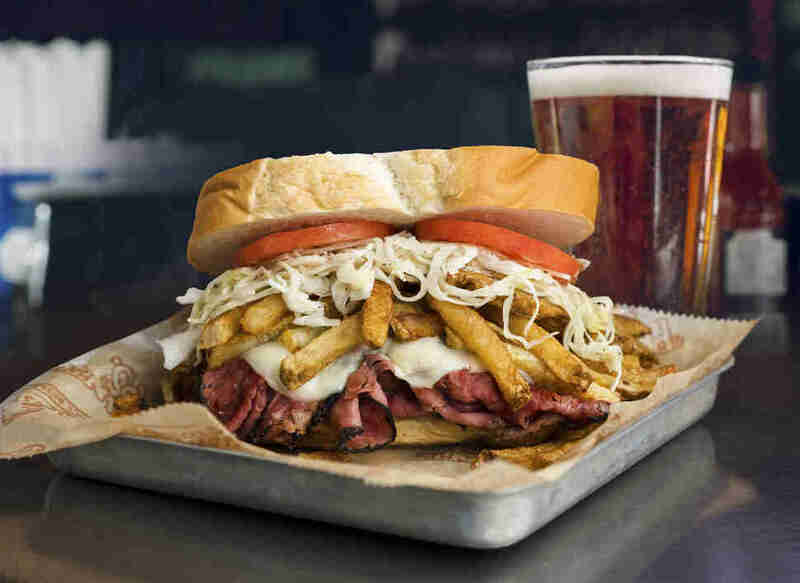 Photo: Courtesy of Primanti Bros.; Design: Thrillist"
We live in divisive times. Even seemingly safe subjects like sandwiches are fraught with argument. Shouldn't we all just relax and revel in the fact that the level of sandwich artistry across this great nation has never been better? Nah, forget that! 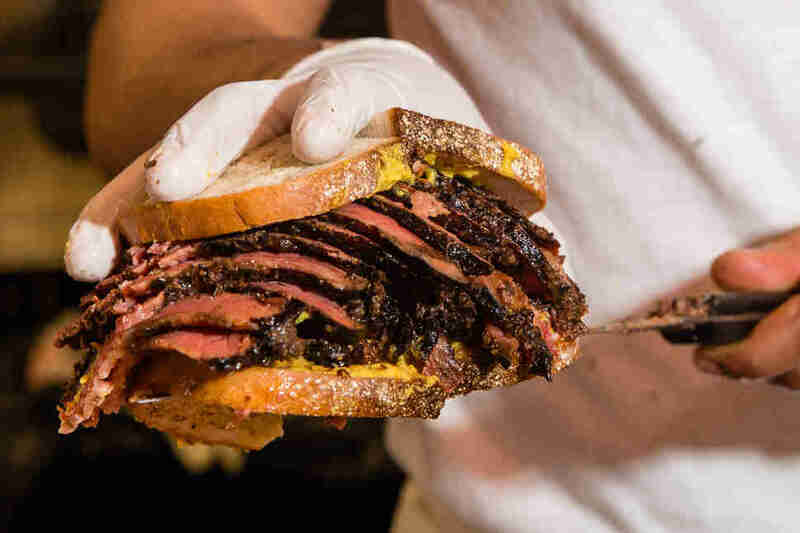 Sure, you can find a good sandwich just about anywhere these days, but where are the best places to live if you'd like to subsist solely on a diet of truly exceptional sandwiches? Our sandwich loving staffers debated fiercely and arrived at this top ten list of states that excel at all things between two slices. Or on a single hoagie roll. Or ... flatbread? 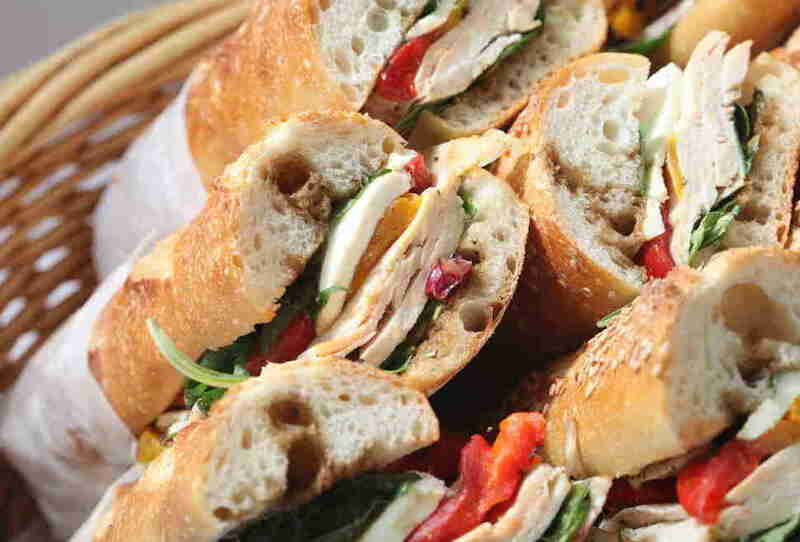 Look, we could do this all day -- onto the sandwiches! In the past decade or so, Portland hit peak sandwich, with an army of chefs ditching white tablecloths and slapping their house-cured and roasted wares between bread, spawning the likes of Lardo, Meat Cheese Bread, Stacked, People’s Pig, the butcher counter at Laurelhurst Market, and legendary Bunk. But it’s not just Portland bringing the sandwich thunder, evidenced by the show stopping pastrami and Italian beefs of southern Oregon’s Sammich, the endless array of shrimp rolls and fried fish sandwiches on the coast, and the Central part of the state’s increased focus on pulled pork and other BBQables. Oregon might not have a sandwich to call its own, but the fact that it’s a state full of transplants who blow tributes to their home states out of the water makes it top tier. Look, we promise this list isn't solely compiled based on states with their own Portland, but it DOES just so happen that Maine's smaller, less-Trailblazer'd version has become quite the culinary destination in its own right, and joints like Duckfat (helmed by a James Beard winner) and Blue Rooster Food Co. certainly reflect that in their sandwich game. But really, this lofty praise for Maine is primarily about the lobster rolls, one of the most blissful sandwich experiences one can ... experience. 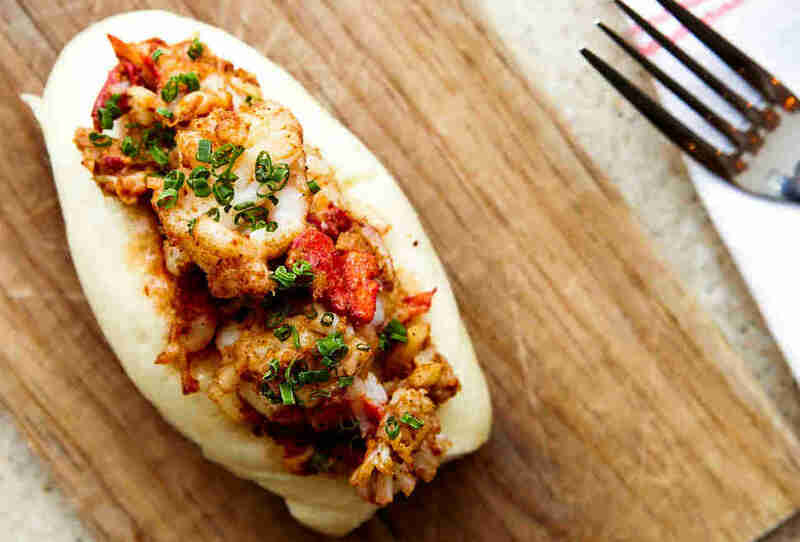 Since a quality lobster roll is primarily about letting the lobster shine and getting out of the way, it's only natural that the state with the greatest abundance of quality lobster should shine brightest. Bonus: the many cooler months people spend tucked away under layers of L.L. Bean helps conceal all the sandwich-related carbo loading. If you’re a pig, it’s very likely that you view South Carolina as your own personal version of hell. But considering that pigs can neither read nor process complex religious ideals about eternal punishment, we’ll assume that you’re not a pig. 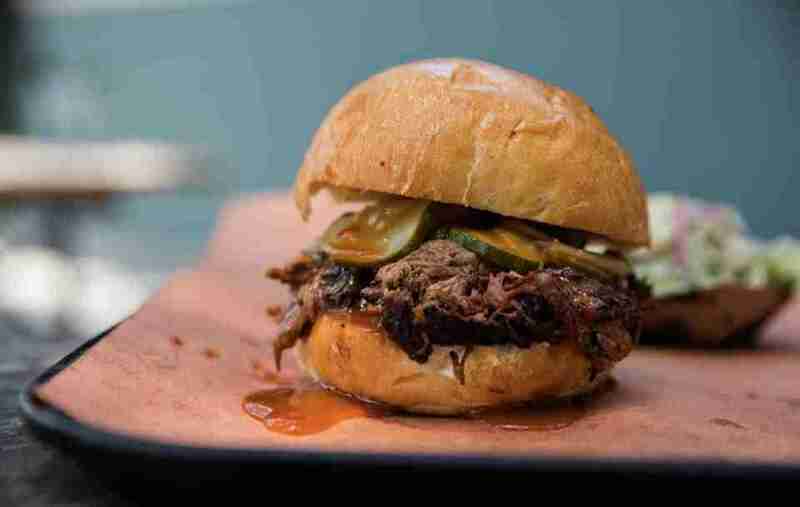 And since you’re reading this story on this site, we’re going to assume you like pork sandwiches. 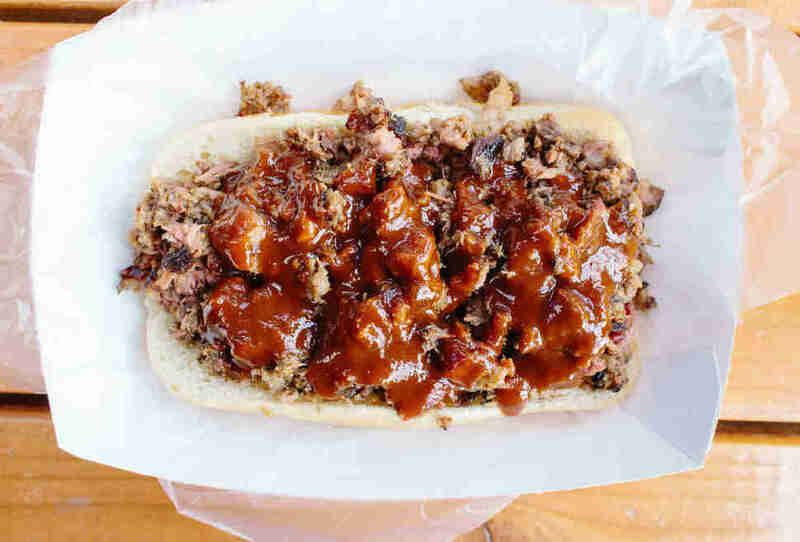 While the Carolina Gold-sauced chopped and pulled pork offered up in the state’s many, many restaurants, shacks, and pits is frequently served on its own, it also frequently finds itself between bread on some of the greatest pulled- and chopped-pork sandwiches in the world. But it doesn’t stop there: This is, after all, a place where coastal restaurants are popping out po’ boys, where fried chicken practically lives between biscuits, and where a new wave of chefs like the guys at Southern General, goat.sheep.cow, and Butcher & Bee are transforming the humble sandwich into gourmet, destination-worthy meals. But even if that didn’t happen, there’d still be that pork. Pigs be damned. Truth be told, Maryland's iconic crab cakes don't need to be consumed in sandwich from to be transcendent, just like they don't need a Wedding Crashers reference about "what Maryland does" every time they're mentioned. 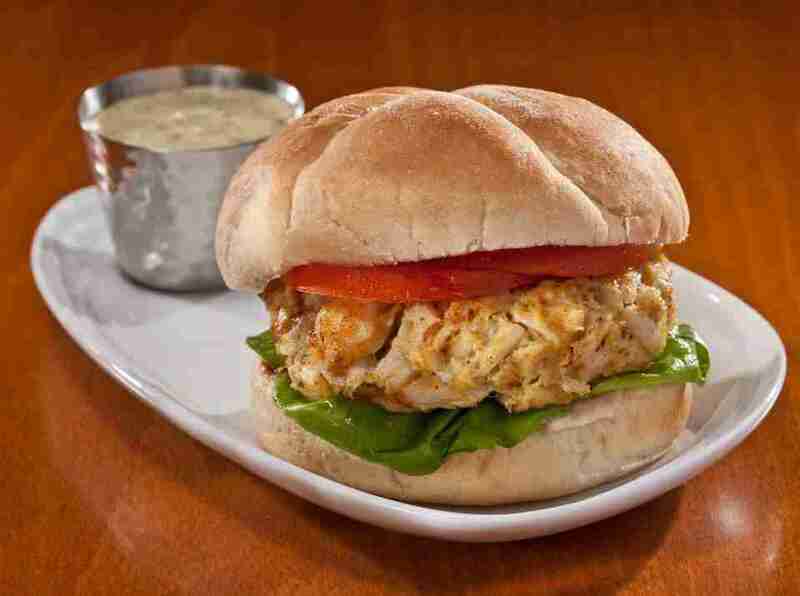 But look, sometimes you just want to eat with your hands, and when you do, a well-made crabcake makes for damn fine sandwich filler, whether you're at Jimmy Cantler's or Floyd's or any number of other seafood joints that don't sound like they're named after your dad's barber. Speaking of crab, the joys of a perfectly fried soft shell crab sandwich are more seasonally fleeting but equally indulgent. Also, it's a real disservice to confine a discussion of Maryland sandwiches solely to crustaceans, especially when pit beef exists, as do institutions like Atwater's and Trinacria. But still, it's mostly about the crab cakes. The Sunshine State has so much more to offer than just the Cuban sandwiches that are so tied to the southern part of the state. But even if it didn’t have a wealth of great seafood on bread, plus sandwich shops of the New England variety to satiate the appetites of transplants for years, the strength of the Cuban — born, apparently, in Tampa, but claiming Miami as home — from places like Enriqueta's, Versailles, and even fancy-plants De Rodriguez, which puts the suckers on sticks like, um, suckers. Throw in the presence of Publix — a grocery chain that many insist make some of the best subs on the planet — at nearly 800 locations across the state and you’ll never need to settle for a mediocre sandwich in Florida. Spare us your hot dog debate, for Illinois doesn't even NEED them to climb this high. 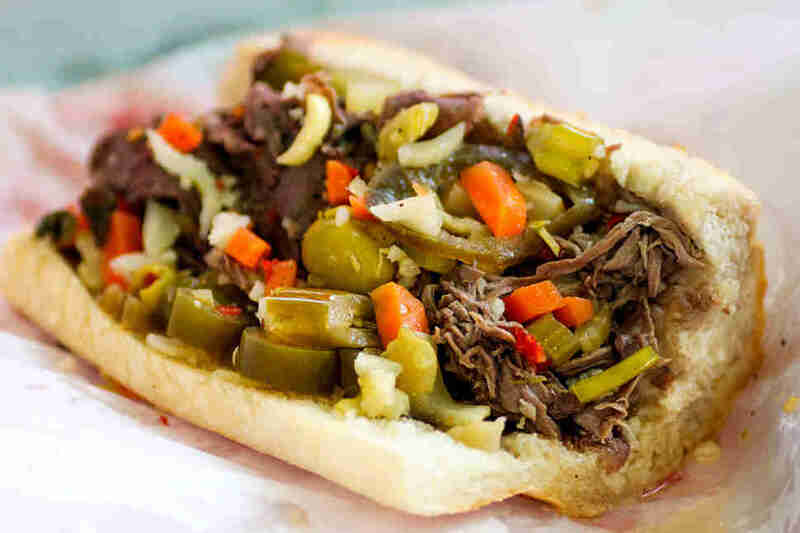 Let's talk Italian Beef instead, which is the true path to any Chicagoan's heart attack -- imagine if a French dip tasted much better and got completely dunked in gravy because who has time for dainty little cups? It's also quite the destination for anyone who appreciates the sandwich arts of Mexico, from Rick Bayless' game-changing tortas at XOCO to the pork-tastic tastes of Pueblo at Cemitas Peubla. Also, that whole hog butcher to the world thing has most certainly left its mark -- even if the stockyards are gone places like Publican Quality Meats make it clear that this city still knows how to wring every last bit of flavor out of some swine. Honestly the deliciously expanding sandwich landscape here is almost enough to make you forget about generations-old stalwarts like Italian mainstay J.P. Graziano's -- if their sandwiches weren't so damn unforgettable. 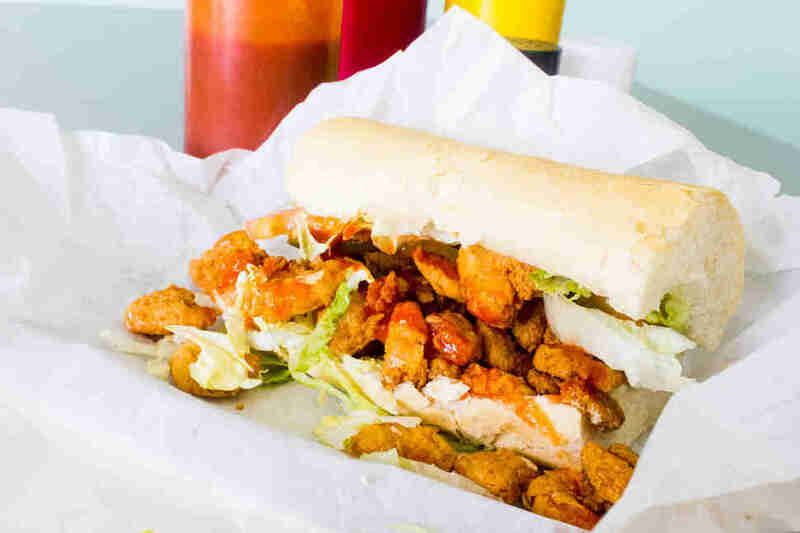 The list of Louisiana delicacies one can run through before even getting into sandwiches is pretty staggering, but this remains a discussion of sandwiches and sandwiches only, so let's talk po' boys. The fundamentals here aren't all that different from your typical sub or hoagie, and yet they're SO different. And sure, the mediocre sports bar on your block probably serves some sad pile of shrimp on a day-old roll and calls it a po' boy, but until you've been to Domilese's or another respected po' boy purveyor, you haven't really had one. And while we're here, the same goes for muffulettas and Central Grocery. It actually feels almost borderline unfair that the gulf coast's sizable Vietnamese population means the banh mi game here is ALSO just about unparalleled. In retrospect it's shocking anyone even has room for gumbo. Putting New York number one on this list definitely wouldn't have been wrong. Putting them at number five honestly feels a bit weird (though the cases for the four upcoming states are certainly rock solid). Maybe it has something to do with the proportion of your money that's likely to go to rent instead of delicious sandwiches? We kid! Kind of. But we come to celebrate the distinct sandwich culture of New York, whose status as the entry point into America for such a wide swath of cultures gives it a diversity of bread-based achievements that is pretty tough to beat. Hello, how many cities "best sandwich joint" is actually just a thinly veiled (and lesser) attempt at recreating a New York deli? How many times has any soul who has had the pleasure of Katz's tried to recreate the pastrami experience elsewhere only to have it call comically short? How many fantastic NYC sandwiches could we name before Buffalo chimes in asking about beef on weck? We'd better just stop here before we talk ourselves into moving them up. The beauty of the Garden State is that it basically takes the best of New York and Pennsylvania — the incredible Italian delis, the dripping parm sandwiches, the greasy-as-hell cheesesteaks — and serves them up bigger and sloppier, usually at a BYOB restaurant with checkered tablecloths. 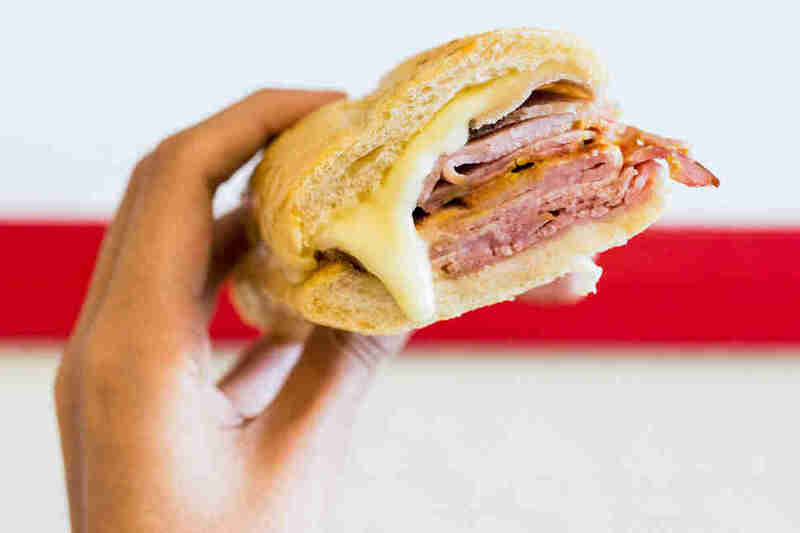 Each year, when Thrillist makes its list of Best Sandwich Shops in America, there is a serious internal debate as to whether half the damn thing should be Jersey places, then worry that we'll be accused of accepting payola from Chris Christie. The best sandwiches here represent a murderer’s row of joints that have mastered the art form: Millburn Deli, White House Subs, Cosmo’s, Town Hall, even the drunchie Hoagie Heaven bacon cheesesteaks are exemplary examples of sandwich perfection. And those are just the famous places. Basically, we’d eat pretty much anything put between pieces of bread if it comes from New Jersey. In fact, we’re pretty sure Taylor Ham was invented specifically to test that theory. And guess what? New Jersey won. So, the cheesesteak is kind of patient zero for the "sandwich that has entered the American culinary lexicon but isn't QUITE the same until you've enjoyed it in its natural habitat" phenomenon, and yet, it's quite possible that it actually isn't even the tastiest sandwich in Philadelphia -- looking at you John's Roast Pork and your devilishly garlicky broccoli rabe. 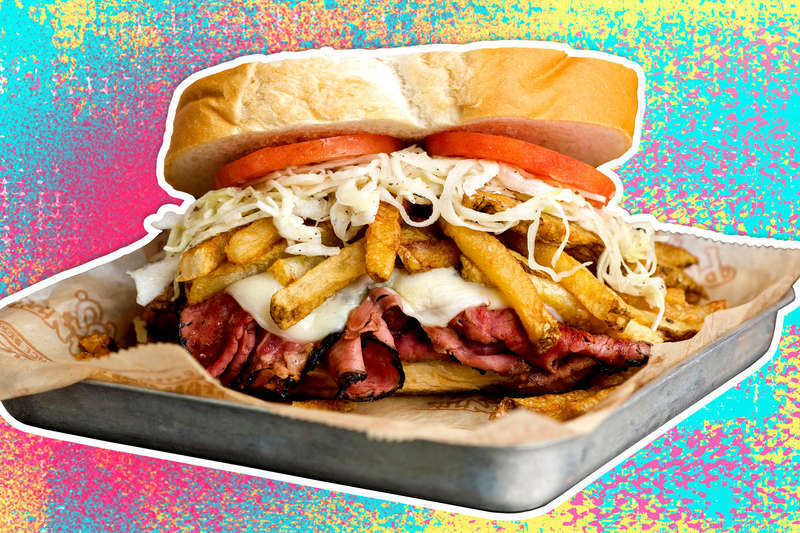 Then you have the Pittsburgh sphere of influence, with all it's french fry-stuffed Primanti Bros. indulgence interspersed with all the fancy, artisanal (but nonetheless delicious) options that come with being a hot food city. And frankly it's doing the Philly area a disservice as well to reduce it to simply cheesesteaks and its fancier pork-filled brethren. The broader Italian deli culture here can hold its own with any city in America, and the smoked duck cubano at High Street on Market lets you know Philly isn't resting on its cheesesteak-enhanced haunches -- though you'll still find a damn fine roast pork there. Philly's still gonna Philly. And if you love the humble pleasures of the sandwich, Pennsylvania's gonna keep you happier than anywhere else. Thrillist editors Matt Lynch and Andy Kryza spend most of their waking hours either arguing about or consuming sandwiches. Help them with both @apkryza and @mlynchchi.